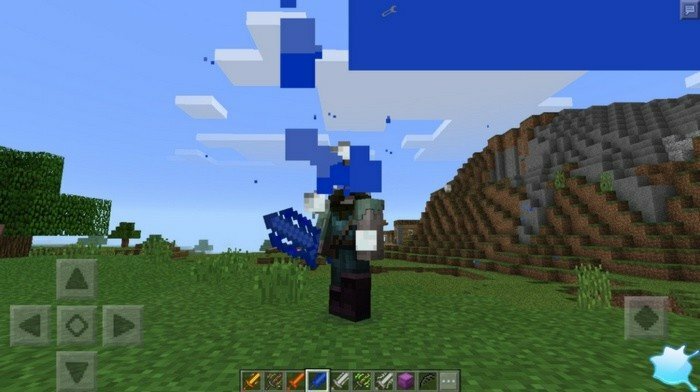 This mod adds the most powerful magic swords ever created by man into Minecraft PE. Some people may think that the swords are a bit overpowered, but that is not quite right conclusion. 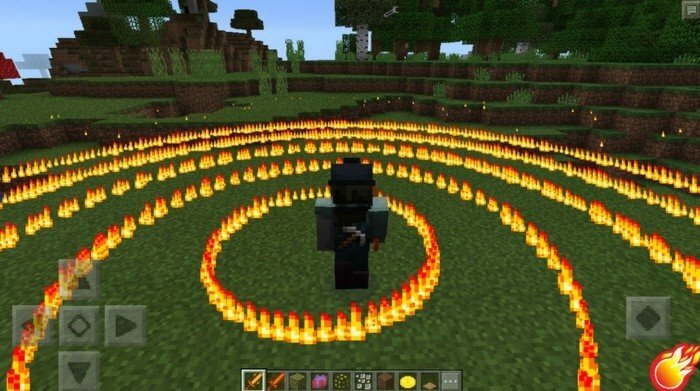 I think only two of them are really imbalanced, because they can kill almost every mob in the game using only one use of the power - is the Lava and Air sword. Other swords have interesting magic abilities and effects but doesn't do critical damage. To use magic of the sword, press the special button with an element in the right bottom corner. Fire Sword (512) - creates fiery circle that damages enemies in big radius. Air Sword (513) - launches enemy that is close to you, high in the sky. Dirt Sword (514) - makes particles of dirt around your character. Water Sword (515) - allows to spit on your enemies causing damage. 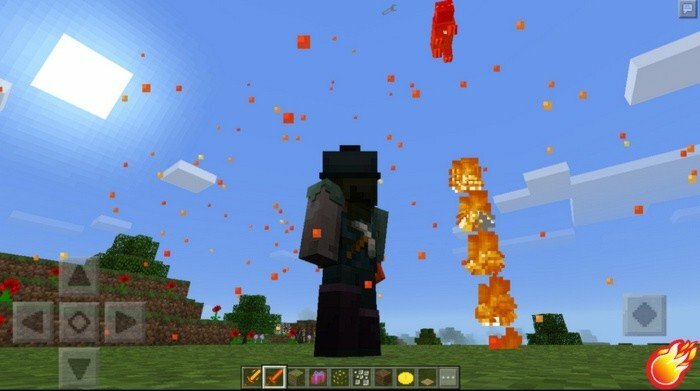 Lava Sword (516) - shoots up into the air closest mob to you, using lava geyser. Ocean Sword (517) - makes water splashes around the player. Jungle Sword (518) - damage enemies with the power of jungle. Storm Sword (519) - creates a cone of wind that making damage.